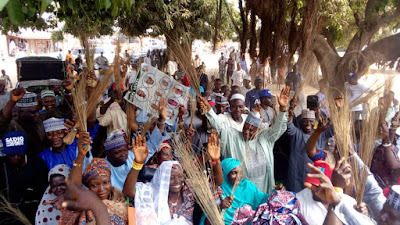 In preparation for 2019 general election, the All Progressives Congress (APC) chieftain, Alhaji Tajudeen Abdulkadir led APC candidates and party leaders in Edu LGA on a Polling Unit to Polling Unit sensitization tour to mobilize Support for the party's candidates in the forthcoming general election. While speaking at Puta polling Unit, the APC chairman Edu Local Government, Mallam Aliyu Mohammed urged the party supporters to vote for APC and mobilize their friends and family members to vote APC in the 2019 general elections. 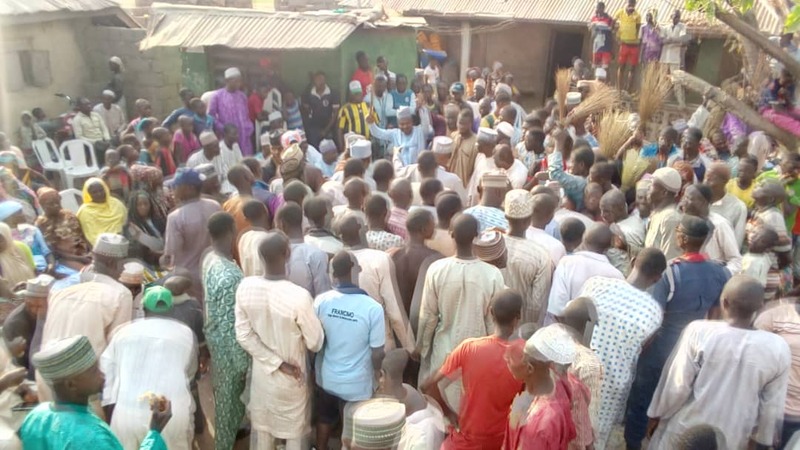 The O to ge sensitization tour was flagged-off at Central Primary school Polling Unit, Lafiagi where highly motivated party supporters gathered to receive party leaders and its candidates. The APC campaign team made up of party leaders, House of Representatives and House of Assembly candidates Alhaji Ahmed Ndakene and Alhaji Ndamusa Guyegi were received amidst funfair by excited party members and supporters in the 47 polling units toured by the campaign team.The campaign team visited all polling units in Lafiagi Wards 1,2, 3 and 4 to promote the candidacy of All APC candidates. The Director General Abdulrahman Abdulrazaq Campaign Organization Edu Local Government Area, Barrister Aliyu Alhassan called on voters to use the power of PVC to put a stop to bad governance, and usher in a new era that will make Kwara work for all. 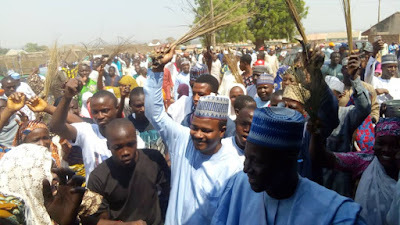 In his remark, the leader of the team Alhaji Tajudeen Abdulkadir, Makaman Lafiagi, delivered his message on behalf of all the party leaders of APC in EDU Local Government Area calling on the people to come out en masse to vote APC in other to put an end to many years of suffering that the Kwarans have been subjected to. While speaking at various polling units a member of the Gubernatorial Campaign Advisory Council, Engr. Kpotun Makun Puta called on women to save Kwara State from the clutches of dynasty by voting for APC candidates. He called on women to avoid 'Henna' and other forms of beauty therapy that may have negative impact on their ability to vote during elections. 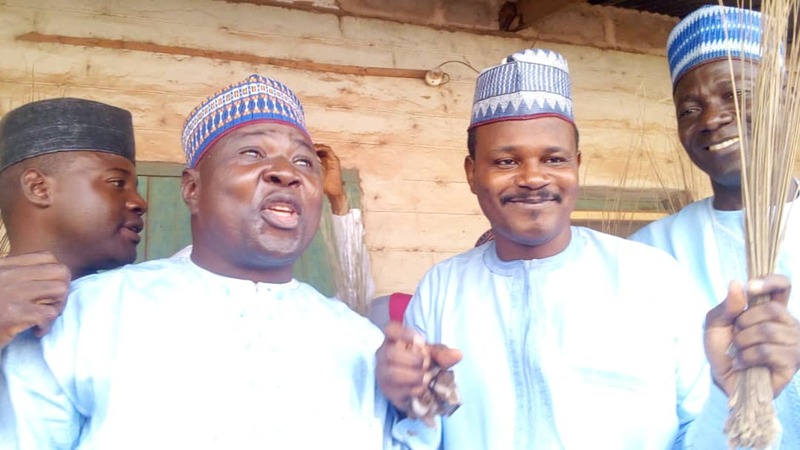 Speakers after speaker from the host communities assured the APC team of their readiness to vote out the government of PDP in Kwara State and re-elect President Muhammad Buhari. The campaign team also paid visits to traditional leaders, seek for their supports and their prayers.